Which Chase Credit Cards Can I Refer to Earn Points? Unfortunately, not every Chase credit card offers the ability to earn miles, points and travel rewards through Chase Refer-A-Friend. So, which chase cards have the Refer-A-Friend bonus? Below are the Chase credit cards where you can earn additional rewards by referring a friend. The Chase Freedom and Chase Freedom Unlimited are very similar credit cards. The Chase Freedom offers up to 5% cash back on rotating categories each quarter while earning 1% cash back on everything else. Whereas the Chase Freedom Unlimited earns a flat 1.5% cash back on all purchases. I’ve had the Chase Freedom card for years and love maxing out the quarterly bonuses to earn at least $300 each year on my spending. With either credit card, you’ll earn 10,000 Ultimate Rewards points for referring your friends and family. Chase offers two flavors of the IHG co-branded credit card. The Chase IHG Rewards Club Premier and the Chase IHG Rewards Club Traveler. The biggest difference between the two credit cards is that the Chase IHG Rewards Club Premier offers an annual free night and earns 10x points at IHG properties. Whereas the Traveler doesn’t have the free night and only earns 5x points. When you refer a friend or family member with the Chase IHG Rewards Club cards, you’ll receive 10,000 IHG Rewards Club points that you can use towards your next hotel stay. The Chase Sapphire Reserve and Chase Sapphire Preferred are the best credit cards for consumers to earn valuable Ultimate Rewards points. These points can be used for cash back, to purchase travel or to transfer to a handful of airline and hotel partners. The flexibility and value of Chase Ultimate Rewards points make them one of the most sought-after travel “currencies” available. And you can earn 10,000 Ultimate Rewards points for referring your friends and family to one of these cards. The Southwest co-branded credit card from Chase has two flavors as well. The first is the Chase Southwest Rapid Rewards Premier Visa, which offers 6,000 anniversary points after you renew the card. Earn points on every purchase with no limits. If your goal is to make it to the A-List, this card will earn up to 15,000 tier qualifying points towards A-List status so you can enjoy priority boarding & check-in and receive a 25% bonus on the points earned each flight. The Chase Southwest Rapid Rewards Plus Visa offers many of the same benefits, but the annual bonus is only 3,000 points and does not offer points towards the A-List based on your spending. For only a $30 difference between cards, your best bet is the Premier card over the Plus version. No matter which version your friend gets approved for, you’ll still earn 10,000 Southwest Rapid Rewards points for your referral. Not only will you receive up to 60,000 bonus points with The World of Hyatt Credit Card, you’ll receive one free night annually in a Category 1 through 4 room. Perks also include automatic World of Hyatt Discoverist status, 4x points at Hyatt hotels, and 2x points on dining, airline tickets, local transit and fitness & gym memberships. For using Chase refer-a-friend, you’ll receive 10,000 World of Hyatt points. The Chase Disney Visa Credit Card is perfect for families about to visit “the happiest place on Earth.” Not only will you receive a $50 Disney gift card after your first purchase, you’ll also receive a 10% discount on dining at Disney, 10% off purchases greater than $50 at Disney parks, stores or online, and a 15% discount on select guided tours at Disneyland and Disney World. To say thanks for the referral, Chase will give you $100 Disney dollars for helping out your friend. Here’s how to refer a friend with Chase. 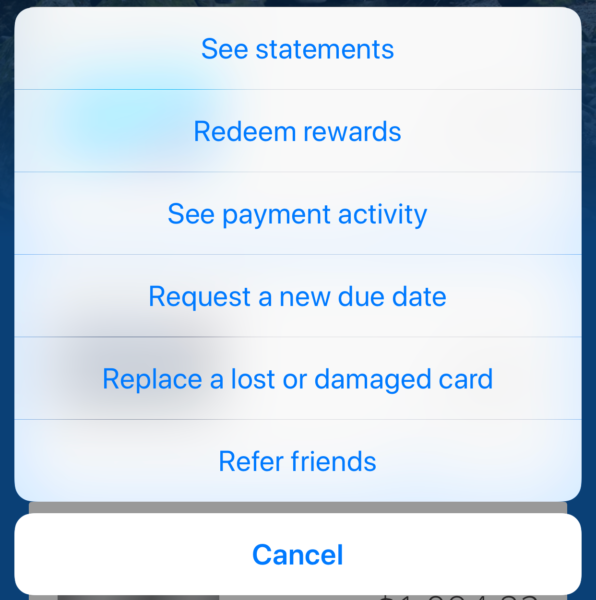 You can refer friends both through the Chase website and with the Chase app on your phone or tablet. Keep in mind that you can only refer friends to a credit card that you already own. For example, if you have the Chase Freedom card, then you cannot refer them to the Chase Freedom Unlimited. To refer friends through the Chase website, the easiest method is to visit the dedicated Chase Refer-A-Friend website. With the dedicated Chase Refer-A-Friend website, you’ll enter your last name, zip code and last 4 digits of your credit card to find out the referral promotion details and generate a referral link to share. Referring friends through the Chase app is simple and quick. Best of all, your phone is always with you, so you’ll never miss an opportunity to help someone upgrade to a better credit card. Step 1 – Log in to the Chase app. Step 2 – Decide which credit card you want to refer. Click on the “…” in the bottom right corner. Step 3 – Click on “Refer Friends” from the pop-up menu. Step 4 – Choose how you’d like to refer your friend. You can have Chase send them an email within 7 days or you can invite them now by sending a text, creating your own email, sending via Facebook Messenger, Tweeting or posting a Slack message. The referral link can also be copied so you can send the link to your friends through any other app you have on your phone or tablet. This whole process can be completed in less than a minute so you can get back to enjoying the conversation with your friend. Or you can start sharing travel tips so they can maximize the travel rewards that you just helped them earn. If you have business credit cards and know other businesses that could benefit from a better rewards credit card, then you can refer that business through Chase Refer-A-Friend as well. Although I have an older Chase Ink Plus card that is no longer available, with my referral link, friends would be able to apply for the Chase Ink Business Preferred to receive 80,000 bonus points after spending $5,000 in the first 3 months. I would receive 20,000 Ultimate Rewards for referring a friend. That’s the biggest Refer-A-Friend bonus you can get with any Chase card, and it’s worth $250 in travel. Interestingly enough, although you can refer the Chase Southwest Rapid Rewards personal credit card through Chase Refer-A-Friend, there is no offer to earn points for referring the business version of the Chase Southwest credit card. What Are the Chase Refer-A-Friend Points Worth? Because each refer-a-friend opportunity can be used 5 times per year, does it matter which credit card you refer to a friend? Of course, it does. First off, these are your friends and family, so you want to refer them to a credit card that will match their travel goals. If they want to travel to Europe, don’t refer them the Chase Southwest Rapid Rewards Visa. But, if they’re just starting out with travel rewards and don’t care which travel credit card they have, then consider the value of the points you’ll be receiving for the referral. Based on these valuations, the best rewards for you are when you refer the Chase Ink Business Preferred, the Chase World of Hyatt, the Chase Sapphire Reserve and the Chase Southwest Rapid Rewards credit cards. When Will You Receive Your Referral Points? Ok, awesome. You’ve now helped out some of your friends and family to earn miles and points toward their next vacation, but how long does it take to receive chase refer-a-friend points for yourself? You don’t need to apply for an additional credit card to earn more rewards. Friends and family members are fascinated by the “free” travel that you book using miles and points. Now is the time to help them reduce their travel expenses while earning additional rewards towards your next vacation. Which Chase credit card will you refer to your friends?